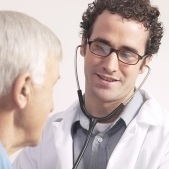 Skilled care: Generally round-the-clock care that's given by professional health care providers such as nurses, therapists, or aides under a doctor's supervision. Custodial care: Personal care that's often given by family caregivers, nurses' aides, or home health workers who provide assistance with what are called "activities of daily living" such as bathing, eating, and dressing. Long-term care is not just provided in nursing homes--in fact, the most common type of long-term care is home-based care. Long-term care services may also be provided in a variety of other settings, such as assisted living facilities and adult day care centers. Tip: Long-term care is not just provided in nursing homes--in fact, the most common type of long-term care is home-based care. 3. Doesn't Medicare pay for long-term care? Many people mistakenly believe that Medicare, the federal health insurance program for older Americans, will pay for long-term care. But Medicare provides only limited coverage for long-term care services such as skilled nursing care or physical therapy. And although Medicare provides some home health care benefits, it doesn't cover custodial care, the type of care older individuals most often need. Medicaid, which is often confused with Medicare, is the joint federal-state program that two-thirds of nursing home residents currently rely on to pay some of their long-term care expenses. But to qualify for Medicaid, you must have limited income and assets, and although Medicaid generally covers nursing home care, it provides only limited coverage for home health care in certain states. 4. Can't I pay for care out of pocket? 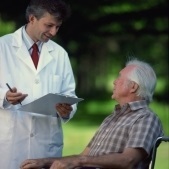 Tip: Understandably, many people put off planning for long-term care. But although it's hard to face the fact that health problems may someday result in a loss of independence, if you begin planning now, you'll have more options open to you in the future. Benefit amount: The daily benefit amount is the maximum your policy will pay for your care each day, and generally ranges from $50 to $350 or more. Elimination period: The number of days you must pay for your own care before the policy begins paying benefits (e.g., 20 days, 90 days). Inflation protection: With inflation protection, your benefit will increase by a certain percentage each year. It's an optional feature available at additional cost, but having it will enable your coverage to keep pace with rising prices.